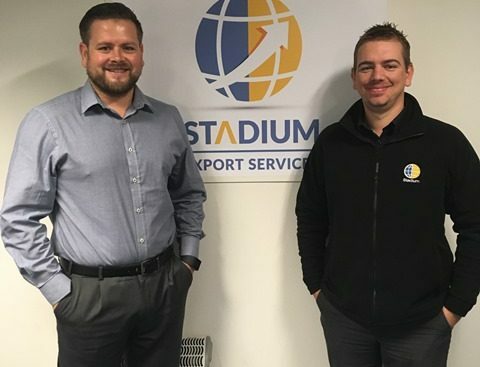 Stadium Export Services has increased its workforce due to growing demand for its comprehensive range of global freight services. Introduced in September 2014 after significant investment, Stadium Export has progressively developed the freight business to offer a complete end to end export service in house, alongside the design, preservation and packing of its customer’s products. Due to the high demand for its services from customers old and new, Stadium has expanded both freight and manufacturing skills through in-house training and recruitment. Recent secondments from within the British Engines Group have helped to provide quick support where needed. Paul Brady, Site Operations Manager from BEL Engineering has been seconded to help with the day to day running of the business. As well as scheduling workload and introducing quality improvement processes, Paul will work alongside the existing team to manage and grow both new and existing customer accounts. Paul will work with the team to improve production techniques to reduce costs and lead-times without compromising quality. David Grange, Trainee Management Accountant from British Engines, will help with improving administration pressures by streamlining the reporting requirements and providing detailed cost analysis throughout all aspects of the business. Brian Smith, Chief Executive of Stadium Export Services said: “This is great news for Stadium, not only is our freight service delivering progressive growth, but the increase in our head count allows us to continue to develop the business further. Over the last few years we have provided on-site packing and shipping services in Scotland, the South of England, Denmark, Germany and France. “We now have in-house expertise from across the logistics market, alongside an excellent manufacturing and packing facility of over 65,000 square foot. Stadium Export Services provides a comprehensive export service with everything from bespoke packing solutions to export logistics, including packaging services for hazardous goods and the military, as well as warehousing and the preservation of goods.